Dawson Park’s role in Albina’s community dates back to when Albina was its own independent town; it was used as a cow pasture throughout the late 1800s, and was the stopping point for traveling circuses when they toured through Oregon. It, like the rest of Northeast Portland, became a part of the city in 1891. In 1921, it was officially incorporated as a city park, and was named after Reverend John Dawson, a local pastor who was well known for his work in children’s welfare. Its importance as a communal gathering space peaked throughout the 1950s and 60s, when Albina had become the home of Portland’s African American community. Alongside its usual functions as a public park, Dawson played a central role in the budding civil rights movement in Portland. Marches and protests often began there, and it famously hosted Robert Kennedy’s last public speech one week before he was assassinated in June 1968. For a short time in the early 1960s, it hosted the Eager Beaver radio station, a low-power AM radio station with a broadcast range of only three or four miles. At a time when radio was still a segregated business, the Eager Beaver carved out cultural turf for the African American community through radio waves. 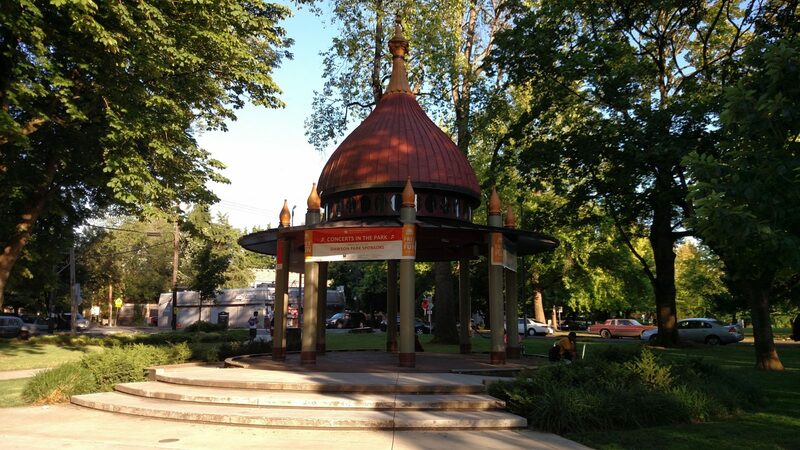 For the last 45 years, Dawson Park’s dominating feature is the Cupola, an onion-shaped gazebo in the southwest corner of the park. 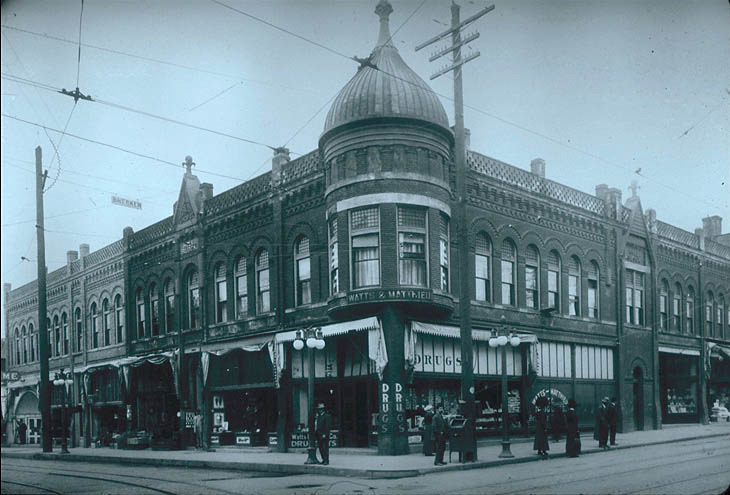 It’s an important Albina icon that has miraculously survived for over 120 years; it originally sat atop the Hill Block, the center of Albina’s commercial district, until the Emanuel Hospital demolished the whole block for a proposed expansion in 1971. Though the expansion was never built, the beloved Cupola was salvaged and moved to the park in 1978. Its landmark status as a meeting space for Albina residents lives on today. As redlining, urban renewal, and gentrification undermined Portland’s African American community throughout the 1970s, Dawson Park felt the effects alongside of it, and it slowly degraded over time. In 2014, however, the Portland Development Commission–one of the groups responsible for the planning decisions forty years earlier–restored Dawson Park to its former glory with a $2.7 million renovation project. Recognizing its own troubled history in Albina, the PDC sought to do right by the community, and the Park’s reimagining was largely designed, lead, and constructed by Albina residents. The improvements included the current playground, basketball courts, public bathrooms, and fountain, as well as a public history project featuring snapshots of Dawson Park’s long past. Today, Dawson Park is a vital community hub that attracts diverse groups of people for a number of community events. Its long history has made it one of the lifelines of Albina, a place where every era of the neighborhood’s past still lives on.